Self-levelling compounds, for example, have evolved to enable applicators to work in a much wider range of temperatures – now from 4˚C to 35˚C. Previous generation screeds meant that applicators had to work with water temperatures that were between 20˚C and 25˚C. Innovative self-levellers now allow for significantly longer working times. Being able to level screeds within half an hour eliminates the need for pumped applications and dry joins, which can speed up a project and reduce the amount of labour needed. However, pumped applications allow far quicker installation and turn-around times, particularly on large floor spans, with application rates of up to 250 – 300m² per hour. In the past, screeds were very intolerant to moisture. Product innovations and developments have increased the tolerance for screed moisture so that new self-levelling compounds don’t swell and ‘pop’ off the screed. High moisture levels in the substrate, or high M.V.E.R. (Moisture Vapour Emission Rates) will most certainly impact on vinyl and resin floorcoverings and coatings over time, so moisture tolerant primers and vapour barriers should be installed when floorcoverings such as these have been specified as the final floor finish over the screed to prevent bubbling or delamination of the floorcovering. Screed setting times are now faster than ever before. Leading screed manufacturers are launching applied self-levellers that are trafficable within two hours. This rapid self-levelling also means that the floorcovering can be installed the next day, once the substrate moisture content for the selected floorcovering has been attained, which improves project efficiency and saves time and money. 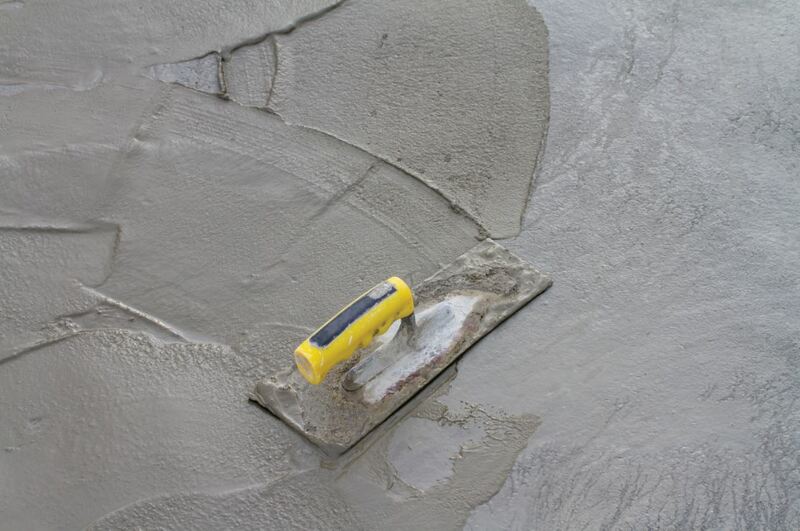 In the past, screeds had to be sanded or ground after drying. Improved flow characteristics have made next generation screeds smoother than ever before, which saves on time, cost and labour. The wider variety of grades available on the market enable more niche screed products designed for specific environments and applications. These “fit for purpose” products are more cost-effective solutions for clients and contractors. Historically, there has been a misalignment between the high-tech demands that architects and designers want to achieve and the products available locally. This is changing, with screed manufacturing companies increasingly launching products that can be used in even the most challenging and complex projects. The trend towards a minimalist look has also resulted in a growing demand for plain, unfinished, cement-look floors. The challenge related to screeds and this trend is that while conventional self-levelling type products can achieve the required aesthetics, they still needs to be finished in such a way that maintains this look and feel for as long as the customer wants it. Other trends include the retro look, where the goal is to recreate the look of old cement, as well as industrial chic. Overlayments, or decorative screeds, available in a range of colours, including Resin- and Terrazzo-looks, provide a polished, decorative and seamless cement floor finish suitable for use in residential and commercial environments. Regardless of the look you are trying to achieve, it’s important to keep in mind that the technical aspects and performance attributes of a screed and the associated application may be more complicated than they seem at first glance. If the correct processes aren’t followed or the incorrect screed is specified, this could lead to rising moisture in the floor, which may lead to a patchy appearance, soiling, staining, yellowing due to oxidation, and other unwanted aesthetics. A few years ago, innovation in the screed sector was still a relatively new phenomenon. Built environment professionals accepted that there would be a learning curve and trial and error involved in product development. Initial problems or setbacks were common and contractors and specifiers were more tolerant when having to overcome issues on a project. Today, significantly improved technology, manufacturers and products mean that failures are an exception, not the norm. People expect a solid and reliable performance from their screeds and they want to be assured that they will be able to achieve their desired results each and every time. Very soon, products that require additional post-application work will lose market share. Consumers are also far more astute to the décor and design options available to them, so interior designers need to make sure they are aware of the solutions available on the market today. The demand for in-situ designer-type floors continues to increase steadily, however, the difficulty in delivering workable, cost-effective solutions remains a challenge. Companies spend significant time and money in trying to overcome complications that are encountered with in-situ designer floors. A challenge in the industry is that while some companies have overcome associated problems, they seem to want to protect their intellectual property. This market will continue to evolve over the next twelve months and screed manufacturers who are able to launch better performing products that deliver exciting, stunning floors will dominate the industry in 2018. Specialised tip: Improved flow characteristics has made next generation screeds smoother than ever before, which saves on time, cost and labour. Thanks and acknowledgement are given to www.iteproducts.co.za, www.tal.co.za www.specifile.co.za and www.weber-tylon.co.za for some of the information contained in this article.